Over 50 years ago, in his letter from the Birmingham Jail, addressing a struggle of the civil right era, Martin Luther King Jr. wrote, “We will have to repent in this generation not merely for the hateful words and actions of the bad people but for the appalling silence of the good people.” His message is now more prevalent than ever in the current political climate surrounding WikiLeaks and its founder Julian Assange. These efforts to destroy WikiLeaks brought a long dreadful persecution of Assange. He has been detained for 8 years, first in prison, then under house arrest and now as a refugee living in the Ecuadorian embassy in London. 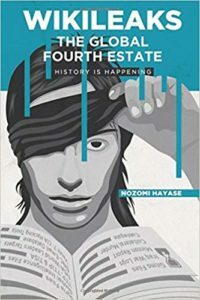 In 2012 he was granted political asylum against the threat of extradition to the U.S., relating to his publishing activities with WikiLeaks. 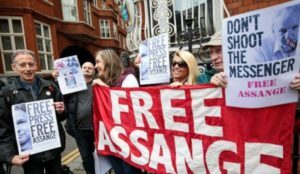 The UK government, in violation of UN rulings that indicated the situation of Assange as arbitrary detention, kept him in confinement, depriving him of medical care and sunlight. As mainstream media hype of Russiagate came full on, demonization of WikiLeaks increased, depicting the transparency group as Putin’s puppet for meddling with the U.S. election. Contrary to progressives’ suspicion and animosity toward the organization, support for WikiLeaks grew among conservatives during the most recent presidential race. Right-wing commentators on Fox News and politicians like Sarah Palin cheered WikiLeaks. Trump repeatedly praised the organization during his campaign. Ever since it attained public notoriety, WikiLeaks has become many things for different people. Assange has been called a villain, a hero or a useful idiot. But what is WikiLeaks, who is Assange and what is his agenda? Julian Paul Assange is a computer programmer and journalist with an independent mind and deep knowledge of the workings of hidden forces of control. Raffi Khatchadourian, a staff writer at the New Yorker, who profiled Assange in his article in 2010, described how this Australian citizen who recently obtained citizenship in Ecuador, came to “understand the defining human struggle not as left versus right, or faith versus reason, but as individual versus institution”. Similar to the faith in the wisdom of ordinary people to govern themselves, expressed in the preamble of the Constitution with its first words “We the People”, Assange believed in the significance of ordinary people and their ability to engage in history. Thomas Jefferson recognized how, “Our liberty cannot be guarded but by the freedom of the press…” Just as founders of this country did not trust their own government and created a safeguard for individual liberty, Assange believed in the importance of an informed public in the functioning of democracy. With the publication of Vault 7, a series of leaks on the U.S. Central Intelligence Agency, fury against WikiLeaks now intensifies. The Trump cabinet continues the war on the First Amendment that began under the Obama administration. In recent months, Trump’s Justice Department Jeff Sessions stated that Assange’s arrest is a priority. Mike Pompeo, former CIA Director and the current U.S. Secretary of State, referred to the whistleblowing site as “a non-state hostile intelligence service” and indicated WikiLeaks as a force that subverts the U.S. Constitution. Update: #Unity4J, a platform to create social media movement in support of Julian Assange is now launched. Follow @Unity4J to join the campaign and updates. You can also support WikiLeaks by donating to their defense fund at http://iamwikileaks.org/donate. This article was posted on Friday, July 27th, 2018 at 9:42am and is filed under Political Prisoners, WikiLeaks.